PiXel8-RF is a minimally invasive fractionated, bi-polar, radiofrequency system that will disperse microneedles deep within the dermis to produce dramatic skin tightening and skin rejuvenation and can be used on all areas of the body. The PiXel8-RF combines the latest advancement in Micro-Needling and Radio Frequency technologies. Precisley controlled RF energy is delivered only to the target areas by adjusting from 0.5 to 3.5mm depth selectively with advanced penetration mechanism for dermal coagulation. Ideal distance among needles allows applying uniform bipolar RF energy in the target areas to coagulate evenly without any risk of energy interference caused by overlapping of RF energy in the close distance. 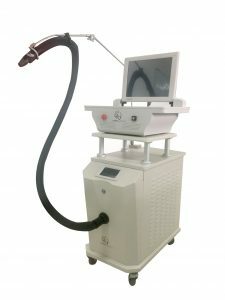 Light variation function depending on each operation step allows practitioners to track the overall treatment procedure during treatment for patient safety as well as better result. 15″ full color touch interface and various modes for inspection and cleaning are user friendly and easy to operate. The avatar system provided by the guided user interface allows the precise depth of penetration and energy to be applied into the tissue for prove results.